Not so long ago, the only way to capture beautiful vistas you saw in the opening scenes of high budget movies, was to hire a helicopter or a small plane, along with a professional camera man with a bulky and super expensive, shoulder-mounted camera. And even with all those very costly requirements fulfilled, you were still left with the limited agility while filming, and massive noise produced by the aircraft, which spooked the wildlife being filmed. And if something went wrong with the footage, the whole expensive operation had to be redone, along with all the costs. Drones – quadrocopters – eliminated all of that: financial cost, time cost, lack of flexibility, and high entry level. It is safe to say that we can rarely see such a drastic shift in the cost-effectiveness of technology. 4 propellers offer superior stability and hover capability, thus drastically lowering the operators’ skill level entry. Battery technology evolved for sufficiently long, half-hour excursions. No more need for bulky and noisy fuel engines previously used in RC vehicles. Light and sturdy materials/polymers which prolong battery life, and safeguard against fall damage. Miniaturization and advancement of digital camera technology, as it developed alongside smartphones. Connectivity to smartphones via apps. These 5 key technologies all conspired together to create a unique, superior, modular, air platform in the form of drones, and they are here to stay, only to get even better as time progresses. When something becomes so immensely popular you can count on manufacturers to cover every niche of the market, and that is exactly what happened with drones. You can get drones under $50 that fit into your pocket and are suitable for kids, to professional cinematic beasts over $1000 that serve as a fitting replacement for an entire flight/film crew. Even major studios are now using them to great effect. For an average consumer, the trick is to find something in between, and this is what this drone guide is for. As with any product, you must first consider what would you use it for. We will assume that you would want a general purpose drone used for filming family and social events, sports activities, real-estate reels, and wildlife. -Is the camera integrated into the drone, or does it have a gyroscope camera stabilization holder/gimbal, so the camera can be easily replaced as you later upgrade it with a better one? -How does the drone handle wind gusts; does it have an automatic flight leveling and stabilization features, so that you can make perfectly steady videos no matter the weather conditions? -How is the drone controlled; does the control panel have joysticks and a large screen so it is easy and precise to control? Can you view everything that the drone’s camera sees through a VR headset or other goggles? -What is the effective range of the drone? What is the range of the video feed? -What is the battery life, and does it come with an extra battery pack for quick replacement so you can get going right away? As you answer these questions you will settle yourself in the right price range. A reliable FPV – First Person View – drone system, which can either be through the LCD screen on your drone control panel, or a more direct and immersive one – drone goggles or a VR headset. 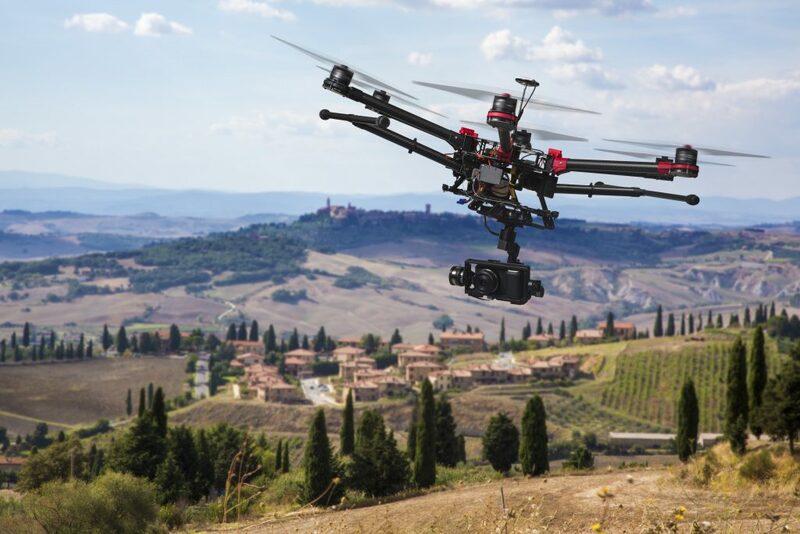 If you want to be aware of your immediate environment and just occasionally look up in order to orient your drone, a video feed on the LCD screen will be a better option. High quality camera – if you decide to buy a drone with an integrated one, choose carefully because you won’t be able to replace it with a superior one. Make sure to view all the image and video samples of such drones. As for the camera specs, you should not go under FullHD resolution – 1920×1080, and consider the video recording capability as well, both the resolution and maximum framerate. 60 fps (frames per second) will provide you with amazingly smooth footage, much more enjoyable to watch as any gamer already knows. However, it will also gobble up memory quicker than recording at 30fps. Steady footage – you can always count on your drone operating skills and experience to produce footage that is not jittery. However, this often involves too much effort, redoing, and it may not even be possible due to random wind gusts. A drone with an image stabilization feature, just like the one in any decent smartphone, will drastically eliminate such concerns. Nonetheless, for absolutely best results, the combination of image stabilization and mechanical/brushless gimbal is the way to go. Drone launch – Consider carefully where you want to deploy your drone, is there a cluster of tall trees around that would obfuscate your view? Are there power lines nearby? If you go out of range where will it automatically land? Experience will make these issues second nature after a prolonged drone operation, so take small steps first. When a new technology appears many people are irrationally miffed at its emergence. After all, it is human nature to guard against drastic changes in their environment. Just recall the kvetching when first smartphones appeared, and now everyone takes them for granted. The same happened with cars. It’s not a good idea to use drones in parks with lots of people milling around, especially not those with dogs around or large birds. Always check your drone’s battery level, and think if it would be a good idea to hover it over a body of water or a crowd of people. If you are going to a wildlife refuge preserve, or any other governmental area/institution, check first if there are specific rules about drone usage. Government has a monopoly on the use of physical force, so you don’t want to be in their sights. Never fly your drone within a 5-mile radius of airports. This app will show you exactly that range. Be confident in the quality of your drone and your operating skill, before venturing out. Drones can become an expensive hobby. However, the current drone offer is so wide that you can easily pick one well under $50, and still have all the basic camera functionality, and become a proficient drone operator to boot. The best such candidate would be the Syma X5C. After you get the hang of it, transition to superior drones like the Holy Stone. But for a no compromise, heavy duty functionality, the DJI Mavic Air is the way to go.